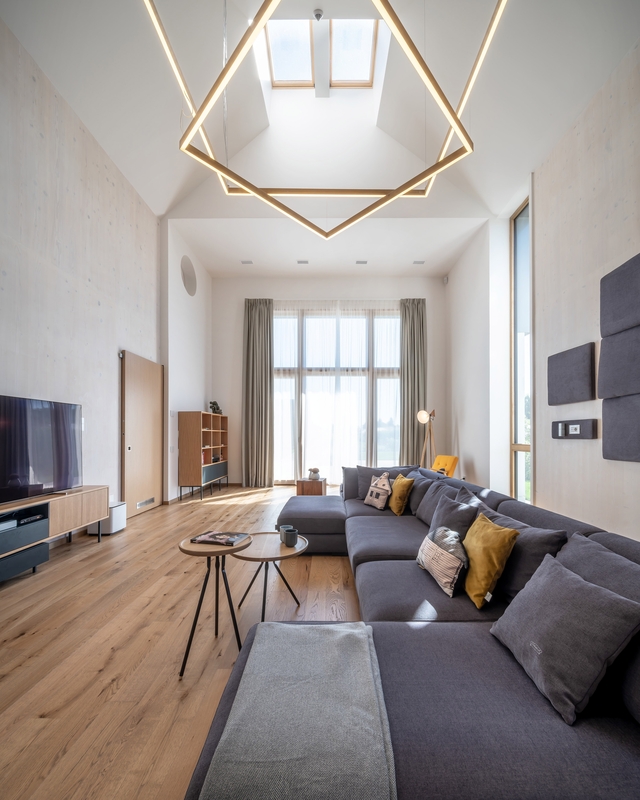 The Buhnici House is an energy efficient home designed for a family living in the proximity of Bucharest. 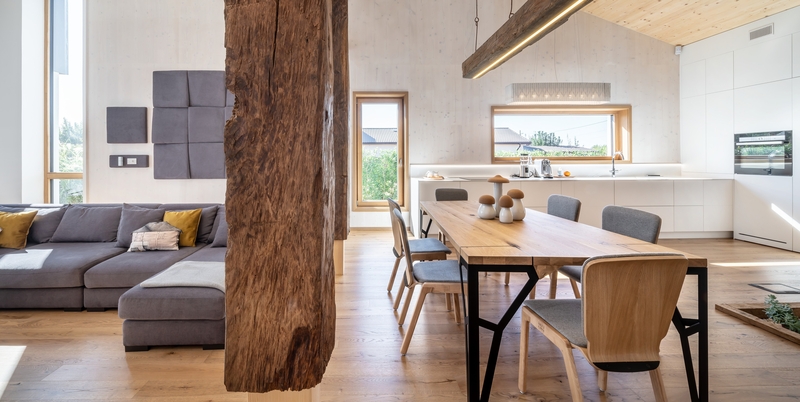 The team composed of architects, structural engineers and energy efficiency engineers designed it in order to obtain the Premium Passive House Certification which it did in 2018. Our interior design team worked together with all the other specialist in order to obtain the most simple and elegant interior design that suits the house’s exterior and passive project. 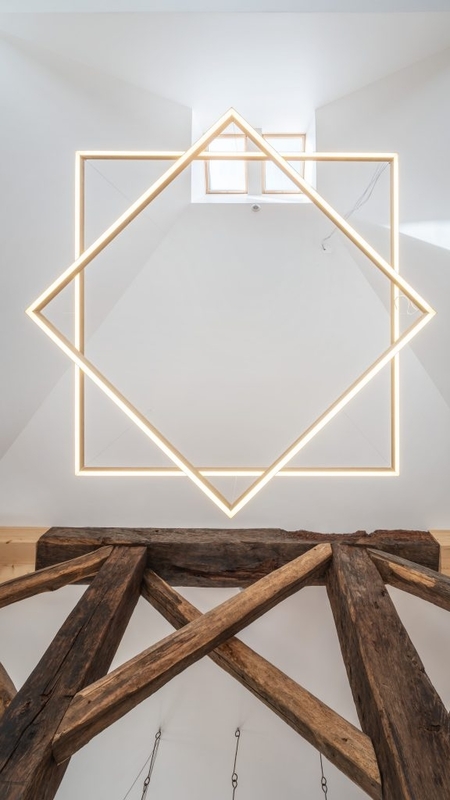 One of the most interesting parts but also one of the challenges of the Interior Design project was to combine the high-tech building methods with a bit of the Romanian tradition which means using raw wood and mostly natural materials. Our solution was to keep things simple and use local manufacturers for the pieces of furniture. 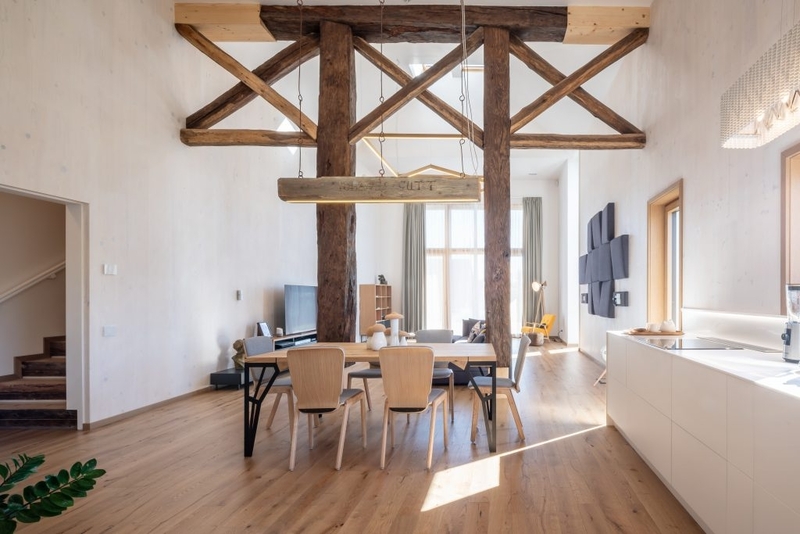 During our first discussion, we learned that the owners had acquired about 8 cubic meters of recovered oak wood which came from one of the their family’s home villages. The wish to use it in the newly designed home was therefore very easily understandable so this is how a kind of gate structure appeared in the middle of the day area, this having the purpose to visually divide the dining room from the living room. 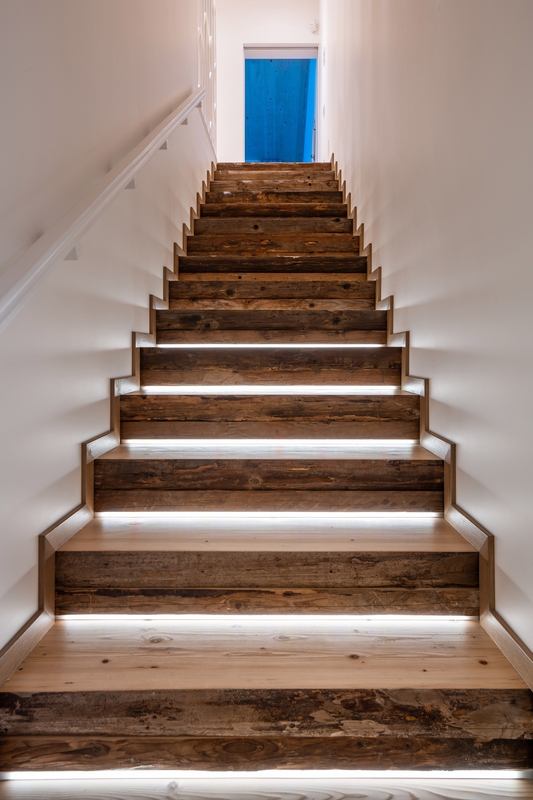 There are also other elements built out of that recovered wood: lighting objects, stairs, railings etc. 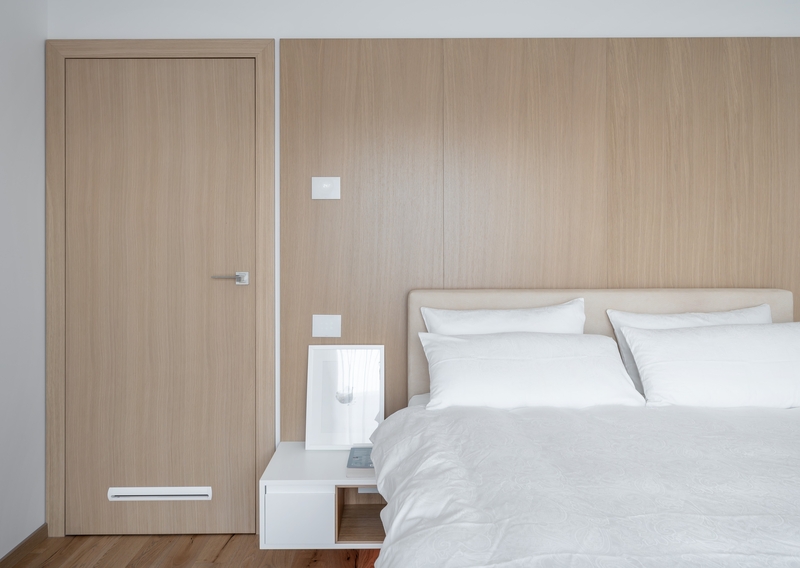 Some of the furniture used in the interior is supplied by Dizainăr, the Romanian Design Concept-Store, the place where Romanian Designers come together to exhibit and bring products to market. 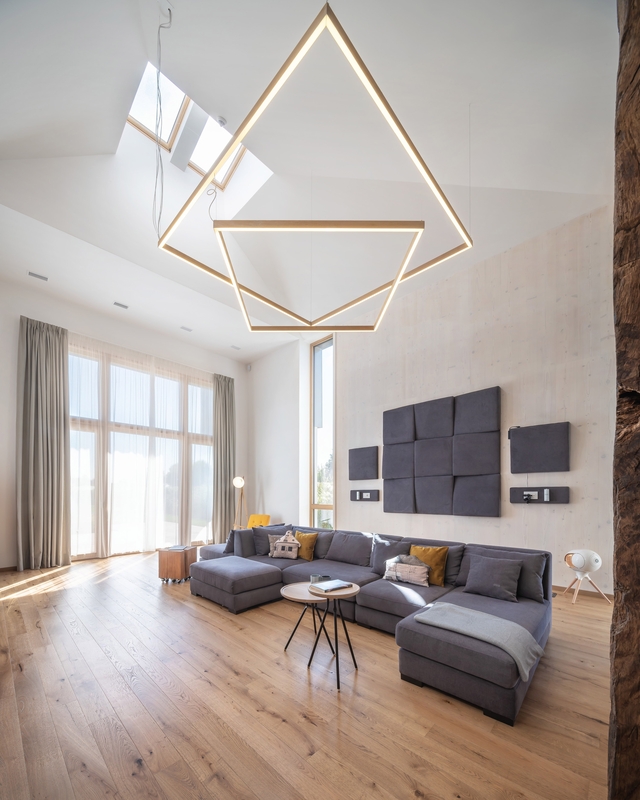 Another interesting element is the Living room skylight which we decided to frame with a specially designed lighting object.